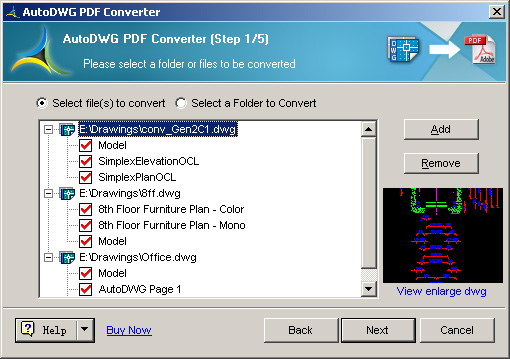 Create a single merged PDF file from several DWG files or create an individual PDF file for each DWG file selected; Both model space and paper space supported; Batch mode supported; Multiple choice of output paper size; Doesn’t need of AutoCAD. Use SComm to quickly add Serial Communications capabilities to your development projects. 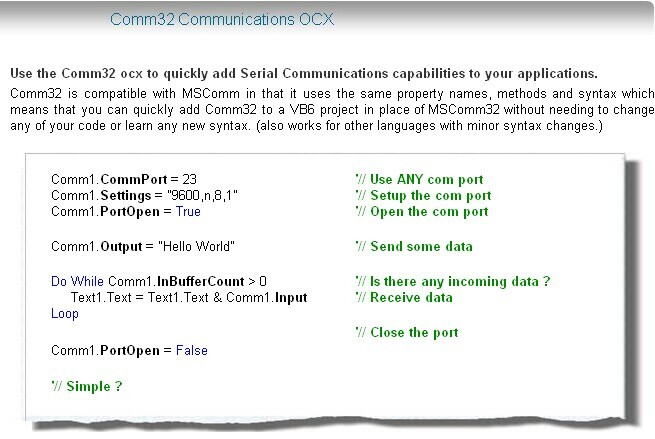 SComm32.ocx is often used as a direct replacement for Microsoft’s MSComm32.OCX It has the same property names, methods and syntax as MSComm32 which means that, in most cases, it takes just a minute or two to add SComm32 to a project in place of MSComm32 without needing to change any of your code or learn any new syntax. Can also be used in many other ‘COM’ development environments in 32 and 64bit versions of Windows XP, Vista, Windows 7, Windows 8 and Windows 10. Professional VB Activex Controls for visual basic 6.0 HVEE 2008 (VB ActiveX Controls) provides professional VB ActiveX Controls for Visual Basic (VB) that are easy to use and customize to give you the ability to quickly and easily create professional vb applications that have the latest visual styles and advanced features that are seen in such products as Microsoft Windows, XP, vista regardless of their operating system. Smart Professional User Interface (GUI) for VB or any activeX platforms . 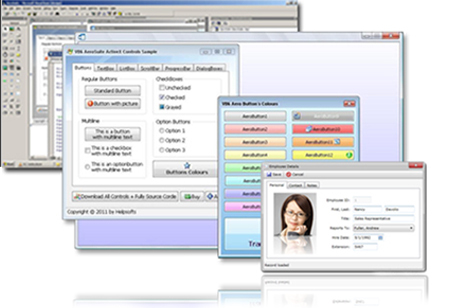 The HVEE 2008 (VB ActiveX Controls) provides Windows GUI software engineers with numerous Visual Basic (VB) Activex Controls that have been thoroughly designed and tested also are engineered to help you create modern interfaces without writing much line of source code. Create rich, Professional User Interfaces. The HVEE 2008 (VB ActiveX Controls) combines 25 (Twenty five) of our most popular vb Activex Controls …, all for one incredibly low price.! 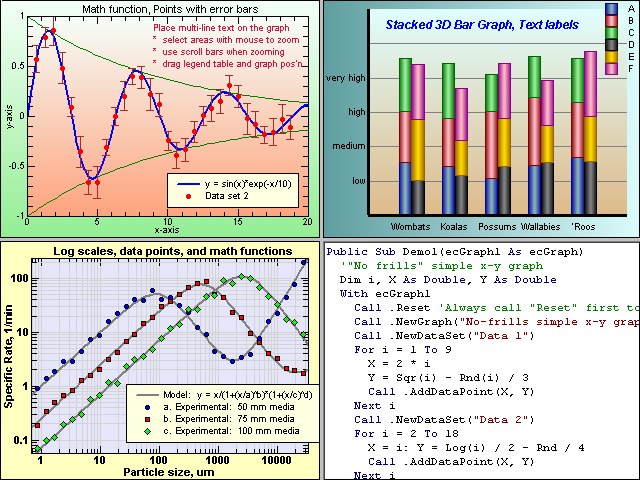 Market value $700 Just Now $ 105 [* Limited time period *] Visual Basic 6 Activex Control ‘s many properties, methods and events Professional developers can use the HVEE 2008 (VB ActiveX Controls) ‘s many properties, methods and events to create sophisticated and user-friendly database or non-database front-end applications. Don’t take our word for it, read what others are saying about our products and support 25 VB Activex Controls for your VB Professional applications These and many other unique and “developer-friendly” features make the HVEE 2008 (VB ActiveX Controls) the absolute essential VB ActiveX Controls for user interface (GUI) development and has been prepared for cutting your development time drastically. By that reasons, I invite you to download the fully functional free trial version of the VB Activex Controls and start integrating HVEE 2008 VB ActiveX Controls into one of your existing programs right away. Animated GIF ActiveX control for VB, VC, DELPHI, C++ Builder, and so on. It supports most GIF89a standards, including animation, looping, delay time, and so on. It has many features, including autosize, stretch etc. This control also supports saving GIF89a to BMP or GIF files. It’s just writen in VC 6.0. It is used to show Animated GIF file in your applications. It is very easy to use, just call the method “LoadGif” and “Play”, an animated GIF file will be played in your application. For more powerful and flexible control, there are some other properties and methods for you. XSign is an ActiveX software component. XSign has been developed for secure personal and business transactions. It enables XML digital signatures using certificates over the Internet and intranet. XSign provides excellent data integrity, message and signer authentication and signer verification for all types of data located within the XML document. XML Signature is an evolving standard for digital signatures that both addresses the special issues and requirements that XML presents for signing operations and uses XML syntax for capturing the result, simplifying its integration into XML applications. 8. 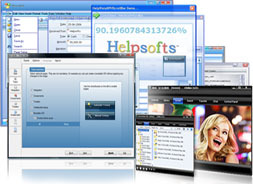 Available as XPCOM for Firefox and ActiveX for desktop computers and also available as ActiveX for Pocket PC and Smartphone devices (version for Windows Mobile with Pocket Internet Explorer). Print Preview ActiveX is a small, fast, easy to use and very reliable print preview ActiveX control for developers in VC, VB, VFP, Delphi, C++ Builder, and so on. With this ActiveX control, you may add print and preview functionality to your program or web to print beautiful data report or table. It provides interfaces to page settings, printer settings, data settings. The Print Preview ActiveX Control is developed by VC++(MFC). The source code is of more than 6000 lines VC++(MFC) code. Animated GIF OCX is an animated GIF ActiveX control for Visual Basic, Visual C++, Delphi, C++ Builder, and other. Key Features: * Supports most GIF89a standards * AutoSize, Stretch features * Developed in VC++ * Small ActiveX file * Save Frames into GIF or BMP files. * Support VC++, VB, Delphi, C++ Builder, and all other developing tools that support stardand ActiveX Control Interfaces Description: VB Animation GIF OCX is an animated GIF control for VB, VC, DELPHI, C++ Builder, and so on. It supports most GIF89a standards, including animation, looping, delay time, and so on. It has many features, including autosize, stretch etc. This control also supports saving GIF89a to BMP or GIF files. It’s just writen in VC 6.0.